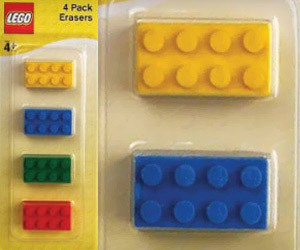 Erasers in the shape of Lego bricks! They look cute and your kid will for sure love them. These colorful erasers as Lego bricks can be worthy addition to your child’s eraser collection.